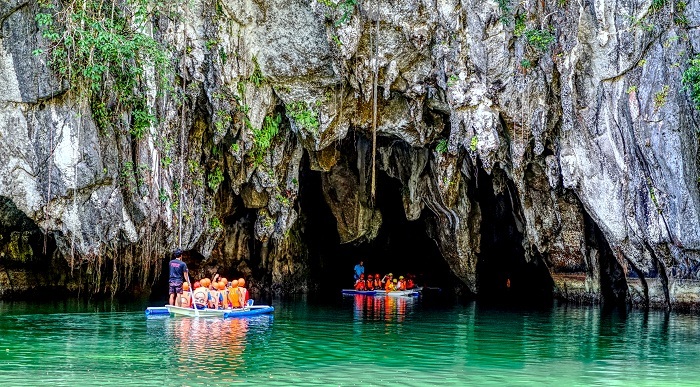 The Puerto Princesa Underground River, also known as the Puerto Princesa Subterranean River National Park, is a spectacular underground national park that is also a protected area, located in the Province of Palawan, within the Republic of the Philippines. 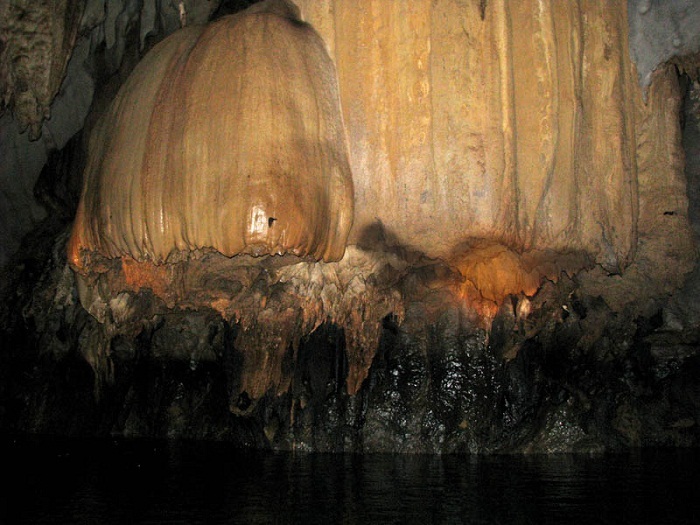 Having the limestone karst mountain landscape, the park is located more precisely in the Saint Paul Mountain Range on the western coast of the Province, and since 1992, it is managed by the City Government of Puerto Princesa. 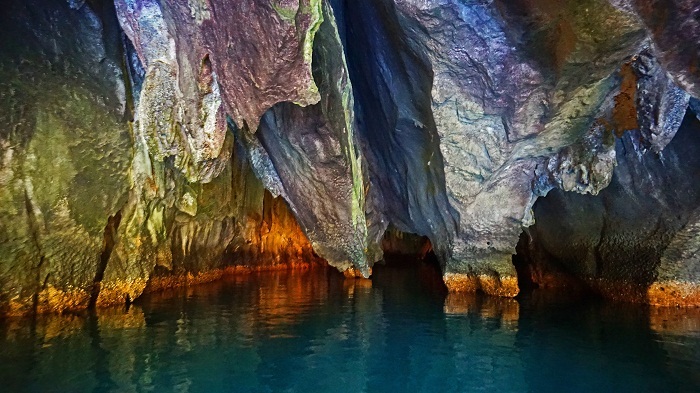 The national park, as the name suggests, encompasses one of the world’s most impressive cave systems, featuring spectacular limestone karst landscapes, pristine natural beauty, and intact old-growth forests and distinctive wildlife that are quite unique for the surrounding area. 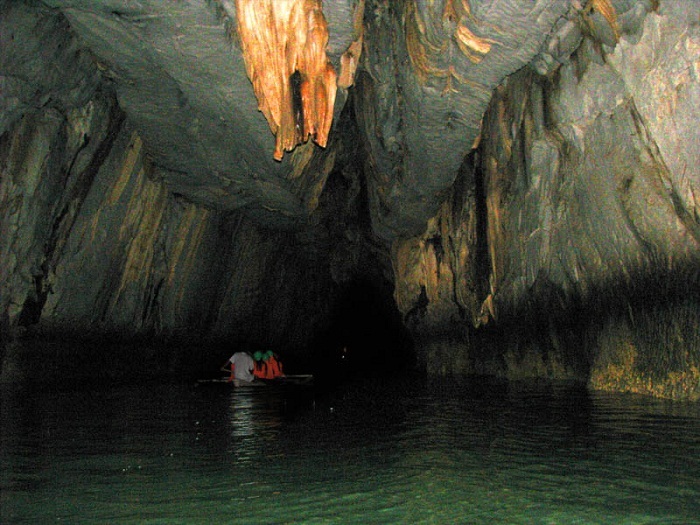 The underground river is 8 km (5 mi) long, however, the highlight of this subterranean river system is that it flows directly into the West Philippine Sea, with its brackish lower half subjected to tidal influence, distinguishing it as a significant natural global phenomenon. 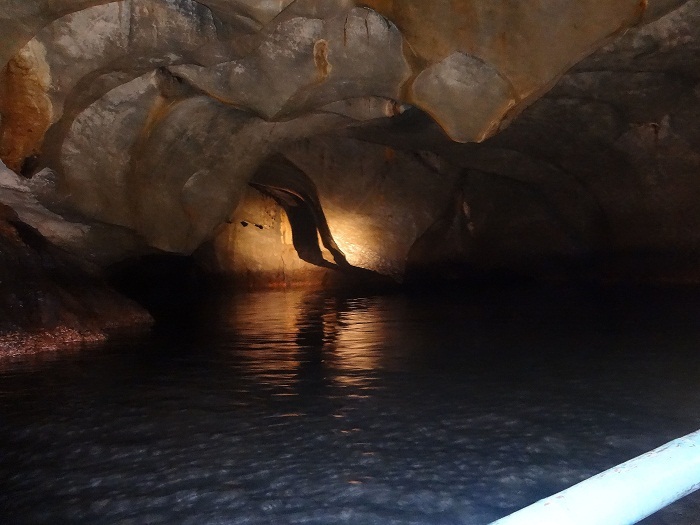 The caves include major formations of stalactites and stalagmites, and several large chambers, including one Italian’s Chamber which is approximately 360 meters (1,181 feet) long, making it one of the largest cave rooms in the world. 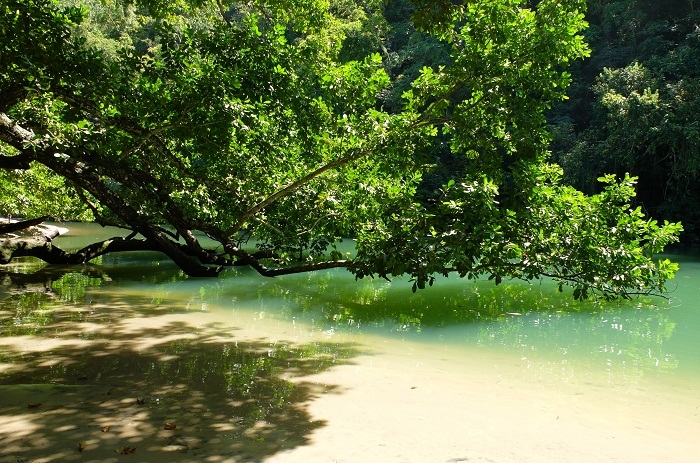 Nonetheless, the flourishing flora has a large variety of forest formations which are representing eight of the thirteen forest types found in tropical Asia, namely forest over ultramafic soils, forest over limestone soils, montane forest, freshwater swamp forest etc. There are reports that the researchers have identified more than 800 plant species from 300 genera and 100 families. 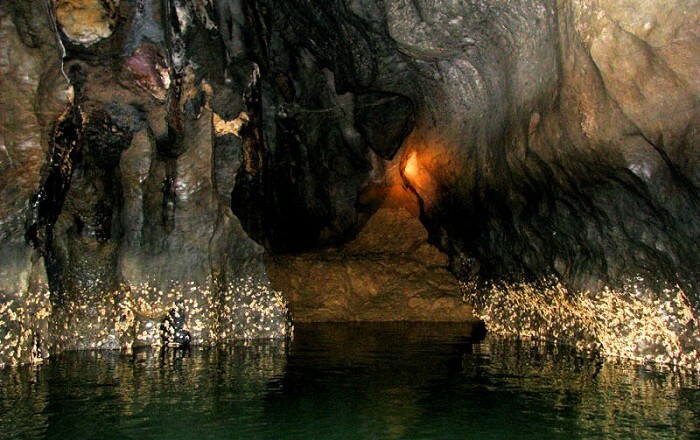 Still, the fauna is making the area even more attractive for visitors who would like to get an impressive glimpse of the Philippine’s treasure. The largest group of vertebrates that can be found in the park are the birds. 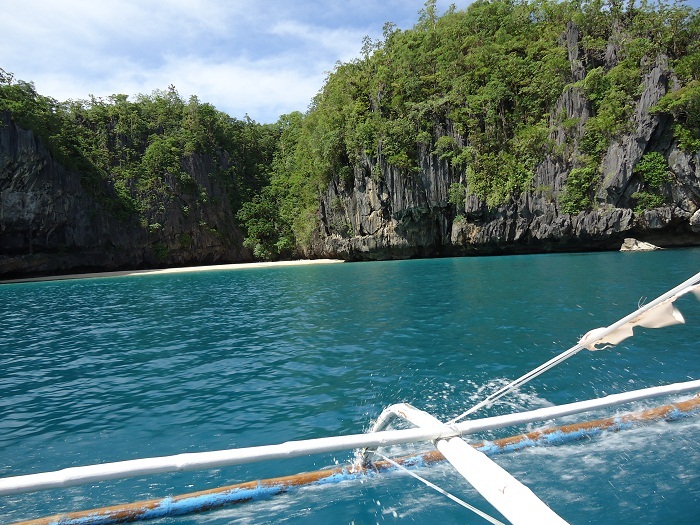 Reportedly, there are some 165 species of birds all around the national park, from the 252 birds which can be found in Palawan. Most notable are the blue-naped parrot, Tabon scrub fowl, hill myna, Palawan hornbill, and the white breasted sea eagle. 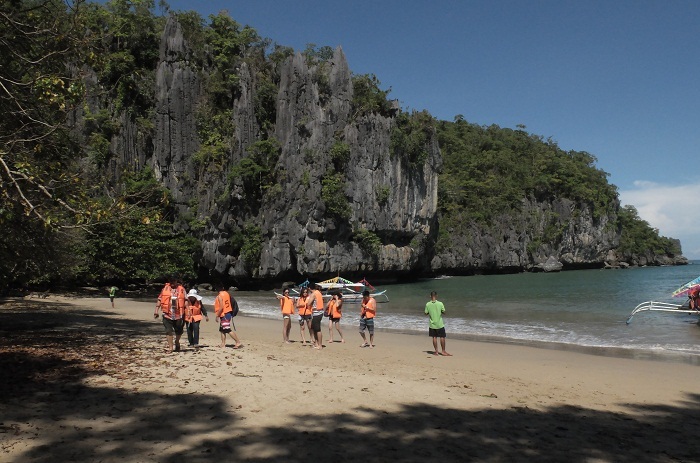 In addition, there are also some 30 mammal species visible to every explorer of the park, among which are the long-tailed macaque, which is the only primate that can be found in the area, the bearded pig, bearcat, Palawan stink badger and the Palawan prcupine. 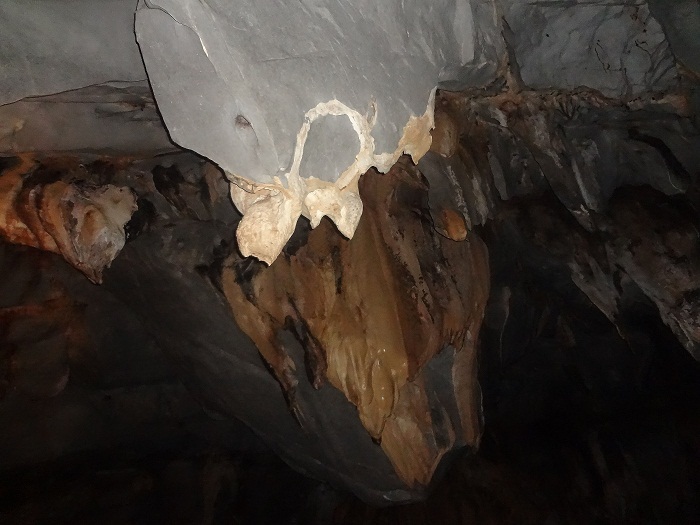 Nonetheless, reptiles, amphibians, bats, swiftlets and spiders can be seen for the experience to be even greater. 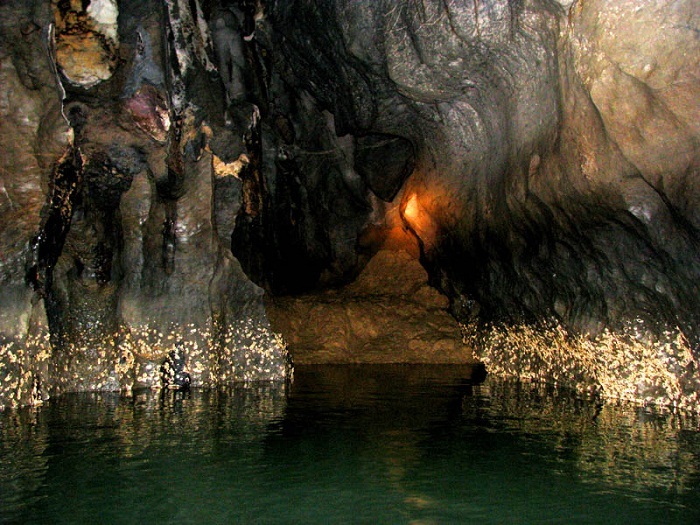 Inscribed on the UNESCO World Heritage Site in 1999, nowadays, the Puerto Princesa Subterranean River National Park is definitely something worth of, if not being seen, being mentioned, so that the people around the world would learn more about the beautiful Filipino places.